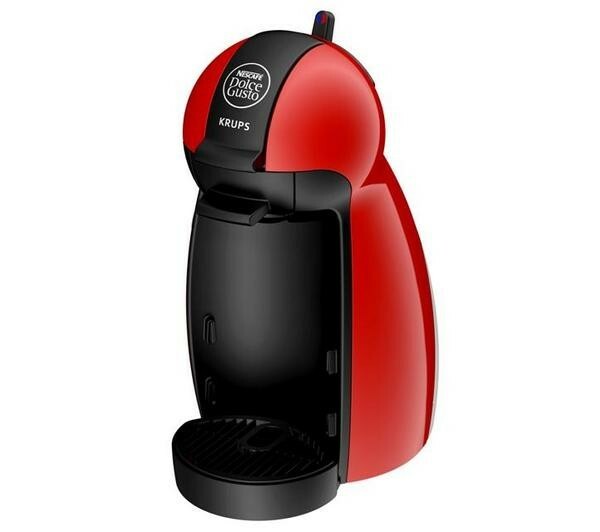 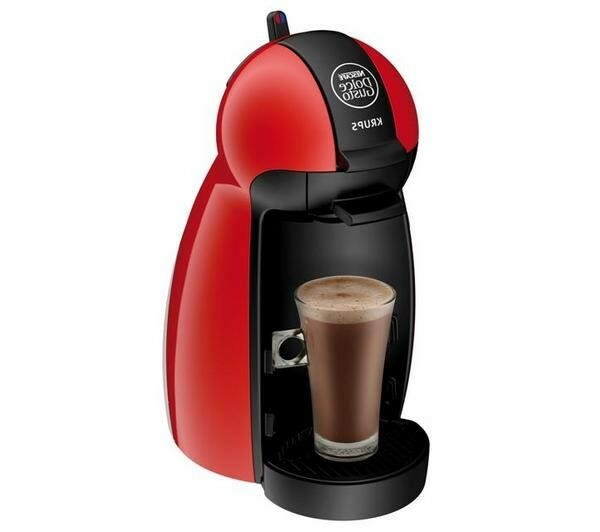 Compact and stylish in its cheery red finish, the Krups Dolce Gusto Piccolo KP100640 Hot Drinks Machine delivers great espresso and other varieties of hot drinks via Nescafe Dolce Gusto coffee pods. 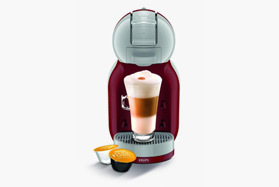 Working with Nescafe Dolce Gusto pods, you can take your pick of a huge selection of drinks on the Dolce Gusto Piccolo KP100640. 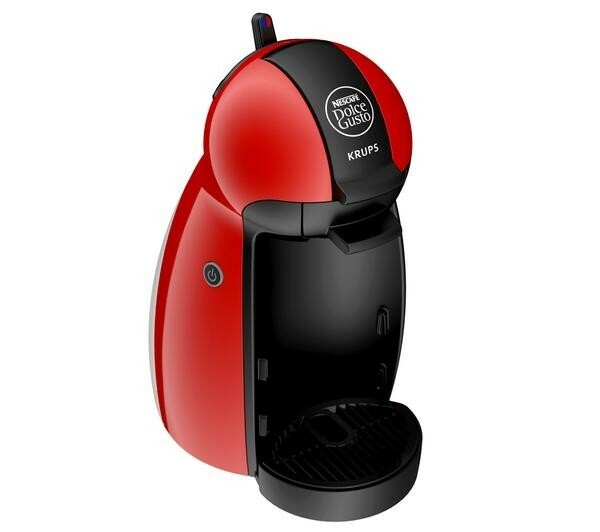 There are over 30 varieties of pod to choose from, including espresso macchiato, cappuchino, lungo, mocha, chai tea, hot chocolate and more. 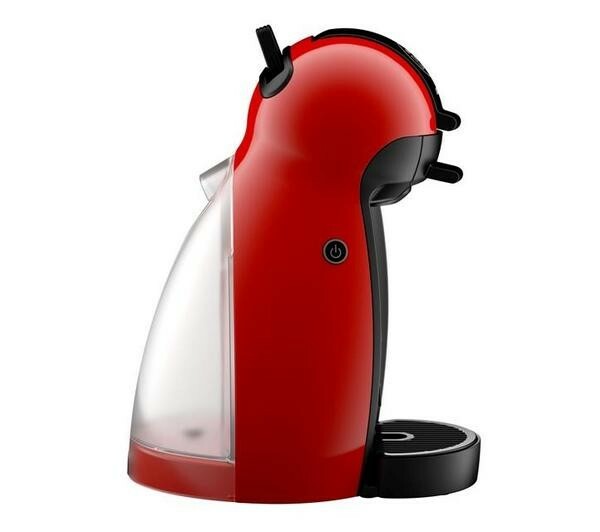 You can also use the lever to control the water temperature for pods that require cold water such as the Nesta peach and lemon iced tea. 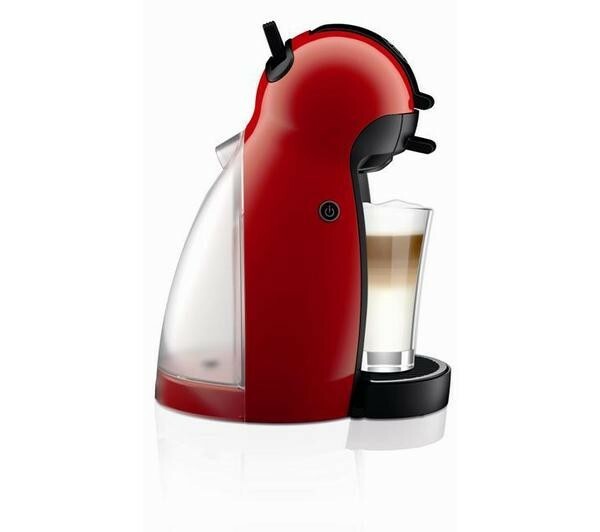 Despite its space saving design, the Dolce Gusto Piccolo is incredibly powerful thanks to its maximum 15 bar pump pressure. 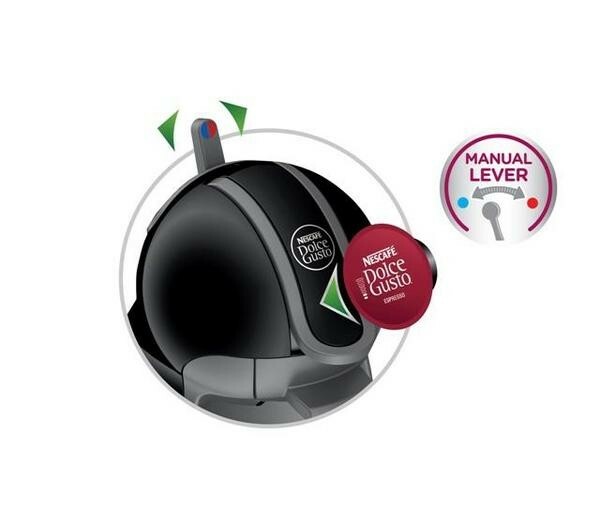 What's more, the thermoblock heating system heats only the amount of water required, delivering optimum water temperature in the fastest time possible. 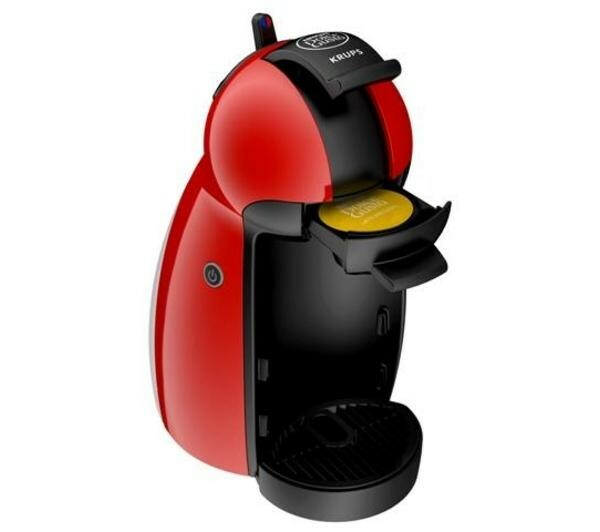 And how about the looks of this little coffee machine? 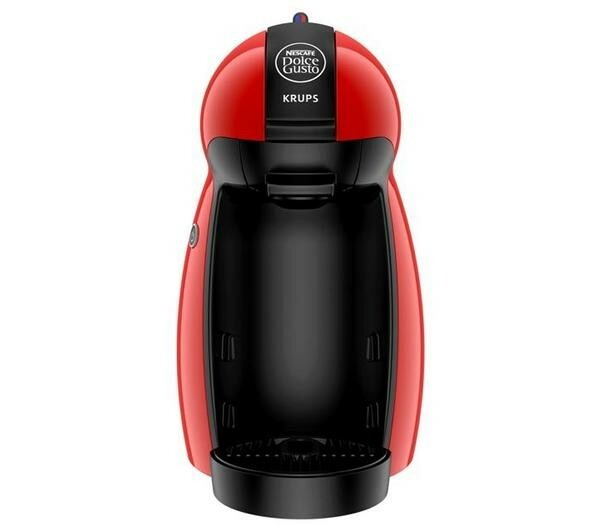 With its red and black colour scheme, the Dolce Gusto Piccolo will blend into the scenery of any kitchen and add a touch of style. Enjoy a wide range of hot beverages with the sleek Krups Dolce Gusto Piccolo KP100640 Hot Drinks Machine.